This elegant gold-and-black box of Hafa Adai Premium Chocolate was one of the gifts hubby received from his officemates last Christmas. 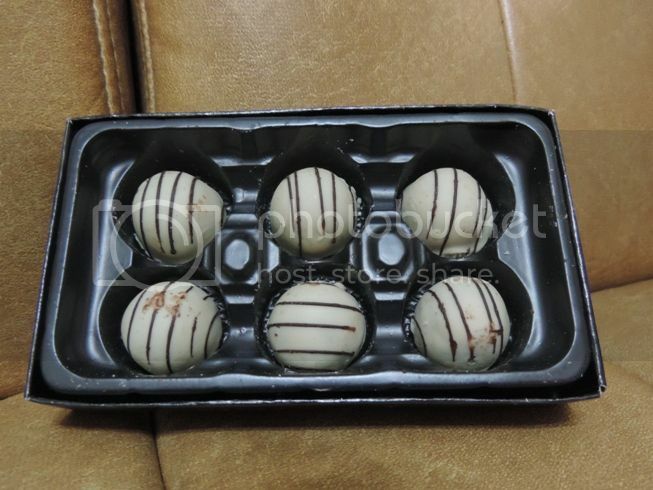 Inside this petite box is dark and white Belgian chocolate with macadamia nuts inside. One bite and I was hooked! I really liked that it wasn’t overly sweet, plus the combination of macadamia nuts and Belgian chocolate was perfect! 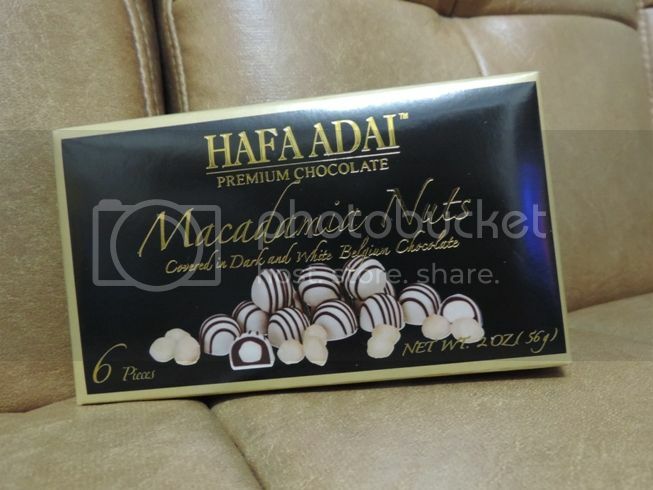 This entry was posted in Hafa Adai Premium Chocolate. Bookmark the permalink. WOW! Belgian choclates pala yan! I like! Wow! This makes me crave for chocolate right at this moment. I can finish them all in less than 1 minute or two hahaha. Love the box too! I love Belgian chocolates! *drool* Kaya ako nagkaka sore throat eh, takaw sa tsokolate. macadamia + belgian chocolate is a perfect union! now am craving for some!